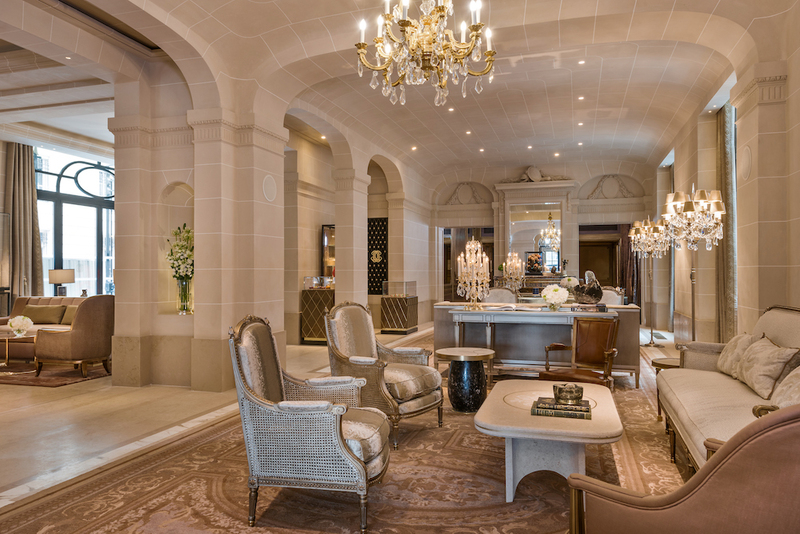 Completely transformed, the Hotel de Crillon, A Rosewood Hotel reopened on July 5 after a four-year restoration project. Situated on the Place de la Concorde, the historic property mixes vintage glamour and architectural elements with modern amenities and technology. Read more below the photo. 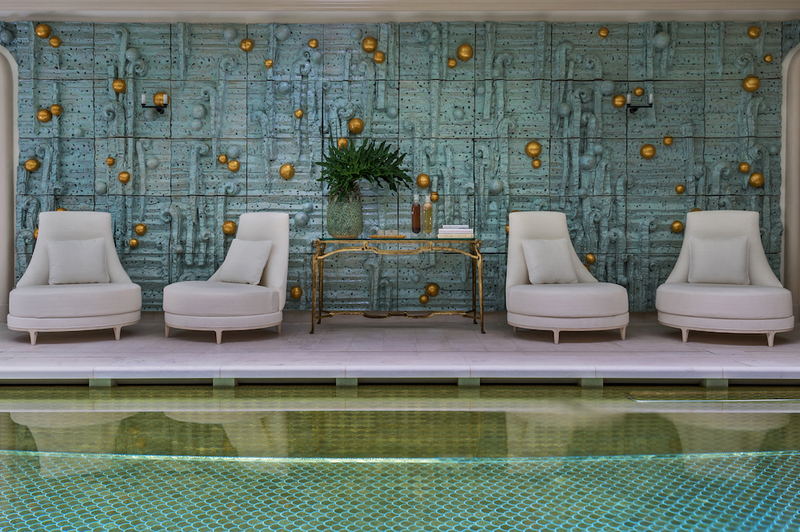 Opulent objects like amethyst chandelier and Baccarat decanters have been given prominent placement, Karl Lagerfeld designed two of the property's prestigious suites, and there's a new swimming pool featuring a mural by ceramist Peter Lane. Continue below the pool photo. 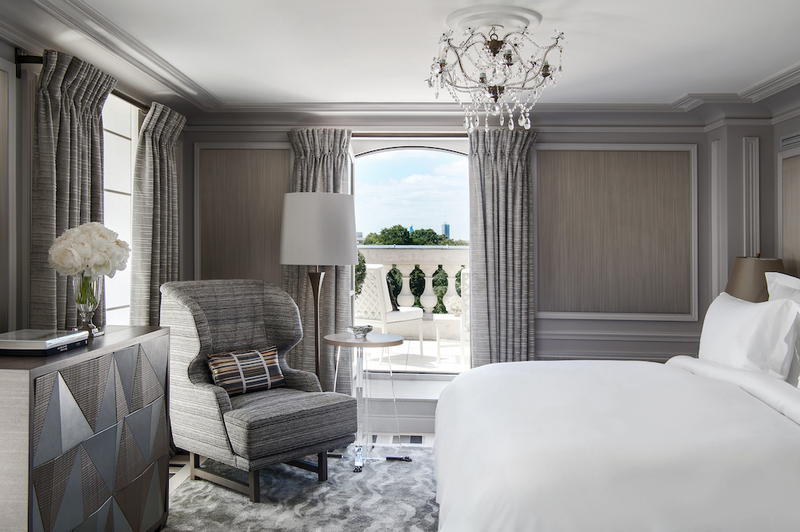 The hotel's guest rooms and suites combine the property's 18th-century heritage with bespoke furnishings, elegant antiques, and carefully selected accents for a sophisticated Parisian residential style. Read more below the photo of the Bernstein Suite. There's also revitalized dining options, including L'Ecrin serving a contemporary gastronomic menu by Chef Christopher Hache. Along with Brasserie D'Aumont with timeless French cuisine prepared with seasonal ingredients and regional products. 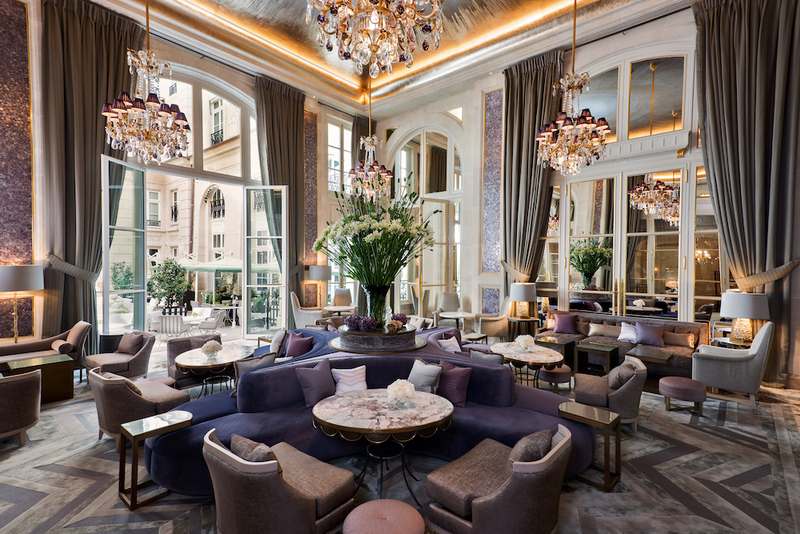 For Afternoon Tea and sweets, Jardin d'Hiver is a glamorous residential lounge, and Les Ambassadeurs provides an iconic setting for cocktails and live entertainment. Continue below the Jardin d'Hiver. Within the reimagined palace there's the new Sense, A Rosewood Spa along with the Hair Salon by David Lucas and the Barber by La Barbiere de Paris. Need shoes buffed? Shoecare by Devoirdecourt can assist.